Can't decide whether to sell or keep this one. This Adler J5 was cleaned and repaired this week. Tom, that Sterling looks like new. 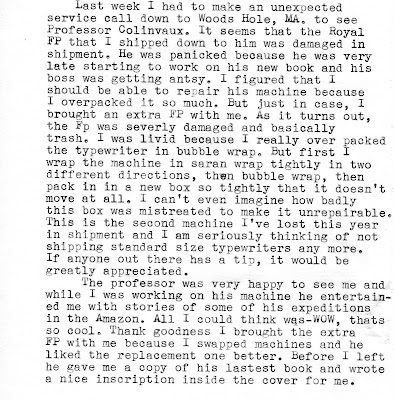 Wonder if it has seen any use at all or whether the platen's been re-covered? Can't quite make out the writing picked out in red on the plate, does it say "Floating Shift"? What a shame about the FP. 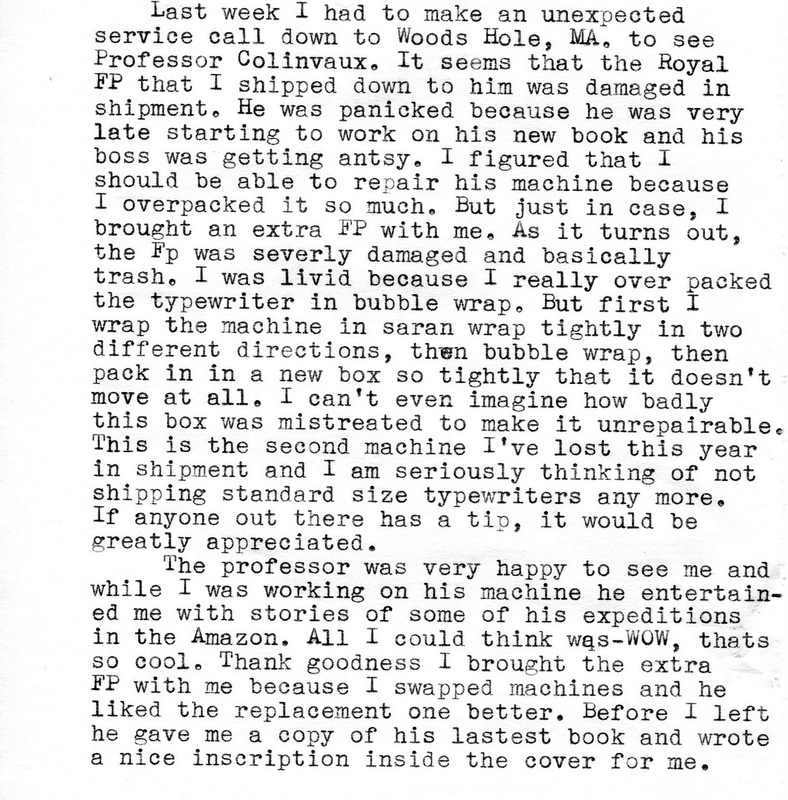 Shipping is such a risky moment in a typewriter's life. I hate things like that. 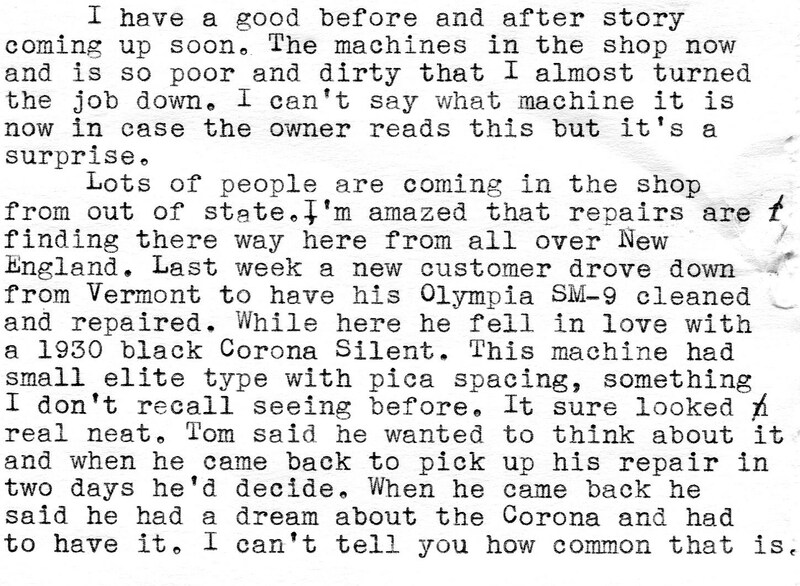 That's a very interesting point about dreams and typewriters. These machines can get under your skin and into your head. Even if I don't comment much, I love reading your posts. I'm partial to the curved-front Sterlings. But one man's meat is another man's poison, I always say. 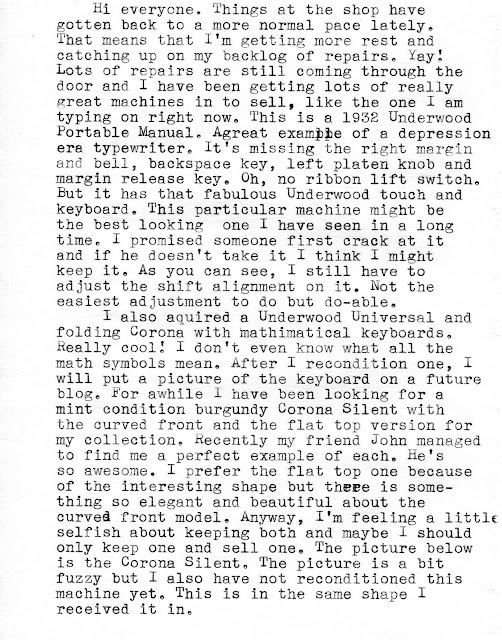 I'm pretty excited to see that mathematical typewriter. That's worth stopping by to check out. Post pictures soon! Richard's comment about dreams is right. 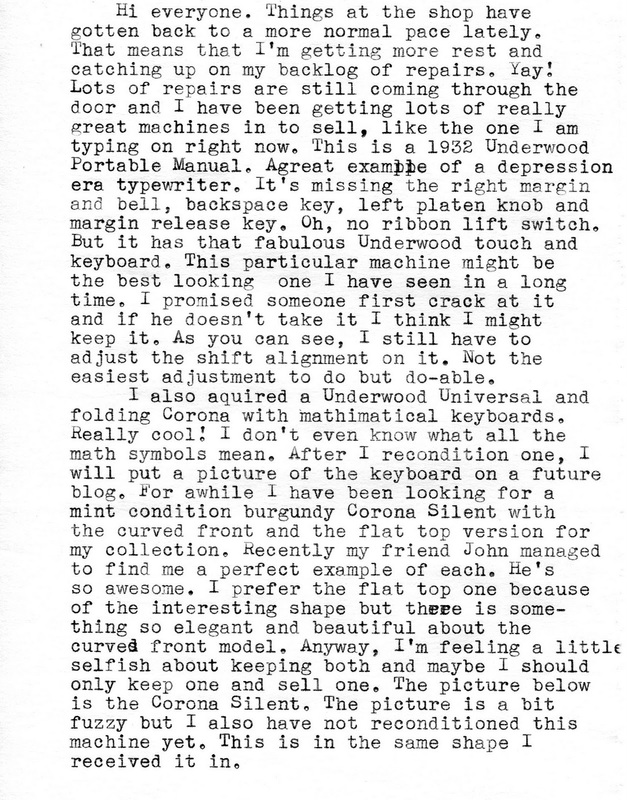 I have plenty of different interests and collections but none of them other than typewriters do I just get so obsessed about, and -dream- about so often. 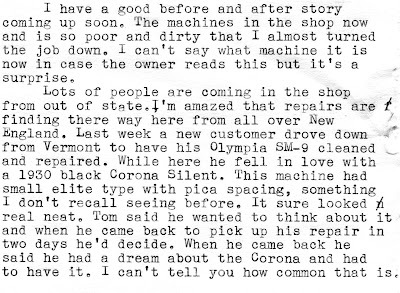 I just had another typewriter dream last night. as far as the shipping stuff is concerned, box-in-box (where a well packed box is packed with more cushion inside of another box) may be the next best thing. working at a shipping place I've found it's needed to use the 1/4in bubble wrap to round off the pointy edges (half inch to one inch of hight off the surface of the item) and then use 1" bubble wrap to actually cushion it (with 3-4inches off the surface at least with this sort of item). better to spend on bubble wrap than go through claims with a shipping provider or have repairs to do. You could also try instapack foam (though it could be pricier) which is an expanding foam bag.